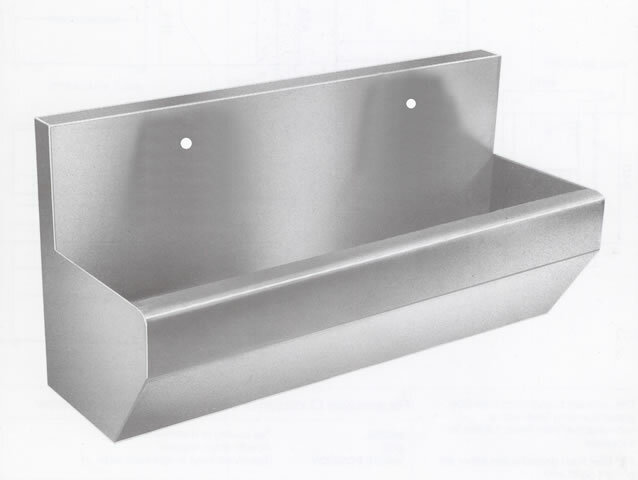 Surgeons scrub up troughs are manufactured from 304 grade Stainless Steel and are supplied with a 38mm (1½" BSP) flush grated waste fitting to one end. 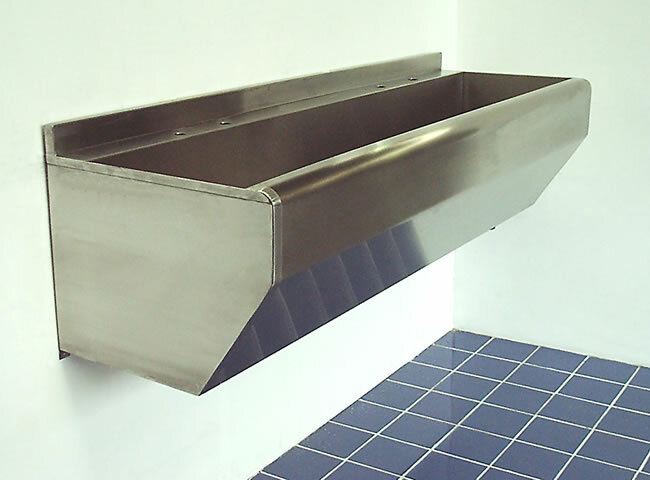 3 models are available, a splash back type designed for wall mounted bib taps, a tap landing type for deck mounted taps and a high back type for taps mounted on the trough upstand. 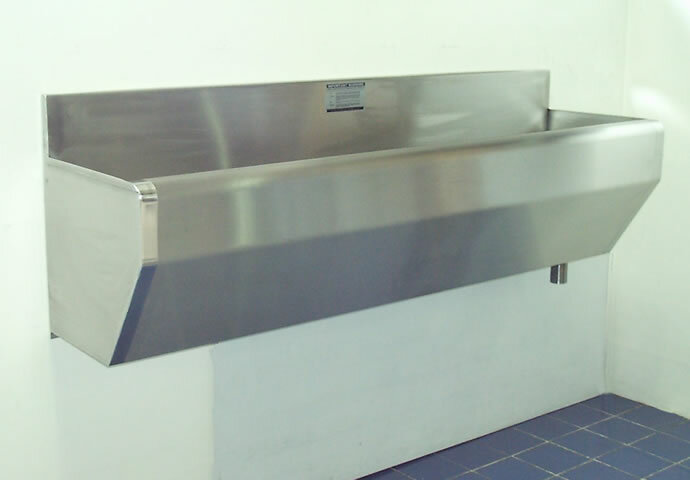 If required the tap landing type can be manufactured with single or mixer tap holes instead of pairs, non standard lengths are also available. Delivery lead time is usually about 10 working days from order with free packing and carriage to the UK Mainland.